Two tank boat dive for certified divers around Roqueta Island in Acapulco. You will leave in the morning for two tank boat dives around Roqueta Island and the harbor of Acapulco. The dives vary from shallow, deep, drifts, wreck, channel, walls and labyrinth around the Island, Quebrada and the Bay of Acapulco. 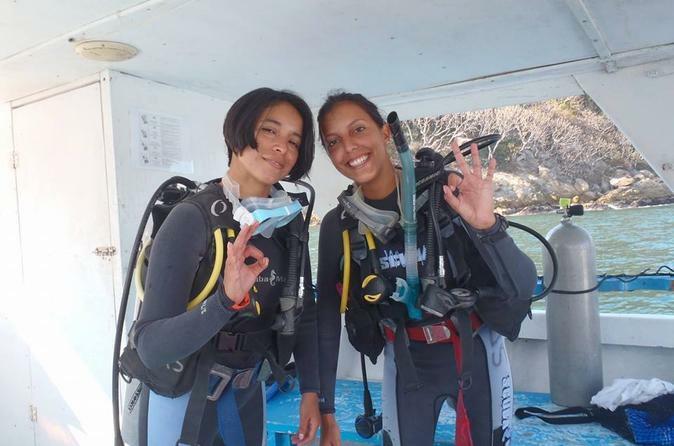 Depending on your experience and your certification level, the staff will help you find the best place to dive. Discover local marine life like eagle rays, puffer fishes, blennies, octopus, flutefish, boxfish, seahorses, morays and during December - February some Humpback whales. Diving certification is required for this tour.